The game in order to be called a game needs to satisfy some of its prime ingredients ,all events could not be termed as a game ,the Sun rises daily in morning and sets in evening ,that could not be termed as game. Further it could more so be played by living beings ,but its felt that some invisible forces also plays game of their own and when observed closely ,they change the tact. -uncertainty of results,that’s to say ,who will win the game or lose should be wide open,if the results are predetermined than its not a game. -uncertainty of performance,the performance cant be taken for granted ,a player may have whatsoever track record ,his performance in particular match can not be predicted. -the common rules and referee ,a set of rules according to which the particular game is played and sores are determined. Games are of various types ,it could be outdoor or indoor ,it may involve different number of players in different game ,the length/period of game may vary ,it could be few hours or could consist few days. A game could be played in open ground or closed room ,in the modern era new type of digital games have been invented. Objective of a game,is the physical and mental exercise or a mean of passing time and indulging in some exciting activity ,which connect people and also entertain them. Apart from exercise, the learning aspects ,the developmental aspects ,is an important objective ,in outdoor game one learns co-ordination ,team spirit and patience and to gauge the right moment to strike ,concentrate despite chaos,the fighting spirit,to bounce back after setback etc. life as game-life has all the ingredient of game ,but here one plays game of uncertain period of time with certain /uncertain peoples ,and one may be simultaneously involved in a number of games. life needs a game spirit ,a motivation to excel and to face all aspects of life/events with the game spirit. 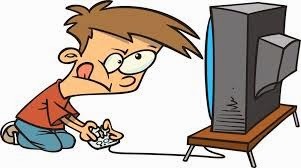 While playing game ones concentration remains largely centered towards game ,its a good sort of meditation with physical and mental activity and not the calm /activity less meditation ,but performing ,learning ,exulting meditation . the interaction with others is essential ,the in built illusory world needs the strength of real life foundation. The organizing playing the puppet game in real life is not game ,its like playing politics,manipulating success . Digital games are able to allow one to explore the boundaries of ones vision ,intellect and sharpens ones decision making and dealing skills ,which helps develops ones confidence and skills in real life . Games keep masses engaged productively ,the national patriotic spirit and global brotherhood is spread through the game. the modern digital game can provide help one to tackle a specific problem and provide various alternative options and risks that are associated with ones adventure. Games could help remove various barriers of caste ,creed ,race ,continent ,rich or poor etc. one is at the ground as individual with the intent to play the game with ones strength and vision ,here ones background,subordinates do not help ,one stand neck to neck playing other on equal footing game as equal status.